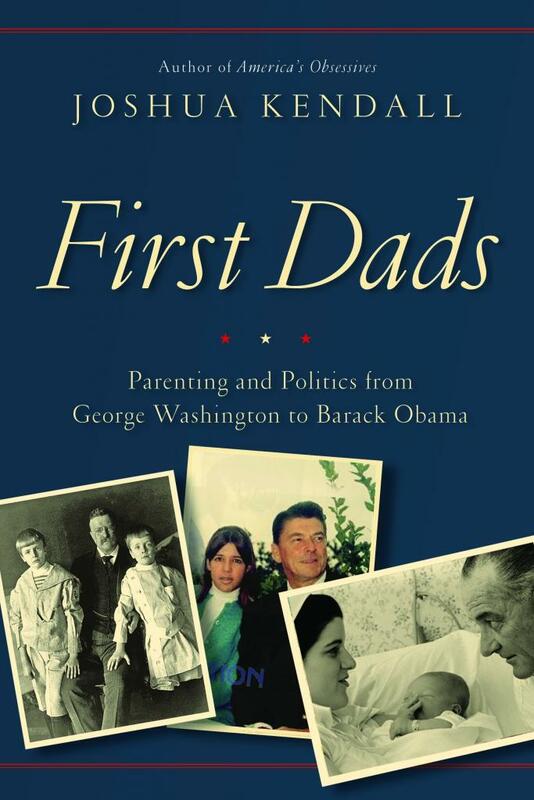 “First Dads: Parenting and Politics from George Washington to Barack Obama” by Joshua Kendall, c.2016, Grand Central, $27.00 / $32.50 Canada, 392 pages. He can fix almost anything, make something from nothing and he tells great bedtime stories. He’s the workshop king, master of the TV, lord of the grill, the yard czar and he likes to think he rules the house, too. Or, as in the new book First Dads by Joshua Kendall, he might rule a different House. George Washington, the Father of Our Country, was not. He wasn’t a father according to Joshua Kendall, and that is one of the key reasons why Washington was “unanimously elected as our first President.” Yes, George helped raise Martha’s children, which apparently didn’t count among his peers. “Of the forty-three men who’ve become President,” says Kendall, “thirty eight have produced progeny.” He classifies them in groups according to their parenting styles, which sometimes reflected their leadership styles. Because Franklin Delano Roosevelt “was simply too busy to provide much guidance to…his children,” he was a “preoccupied” First Dad. It probably didn’t help that for much of their early lives he was fighting polio. Still, being a father “did not come naturally” to the charming FDR. Ronald Reagan also fell under the “preoccupied” category, as did Zachary Taylor, Jimmy Carter and Lyndon Johnson. Kendall says that Ulysses Grant and Teddy Roosevelt were both “Playful Pals”; they were permissive fathers who were happiest with their children around. Woodrow Wilson, despite his “dour” reputation, was lighthearted with his kids, too. John Tyler was an example of a “Double-Dealing Dad.” He had nine children with his first wife, seven kids with his second wife and a rumored fifty-two children by slaves and free black women. He didn’t publicly acknowledge any of the latter, nor did Warren Harding, Thomas Jefferson or Grover Cleveland. John Quincy Adams, his son John Adams and Dwight Eisenhower were “tiger dads” who demanded exceptional behavior from their children. Harry Truman, Rutherford Hayes and Barack Obama go in the “nurturer” category. And Franklin Pierce never recovered from the death of his youngest son, nor has George H.W. Bush recovered from the death of his preschool daughter decades ago. Imagine having a family of your own and then being responsible for 124 million more families. 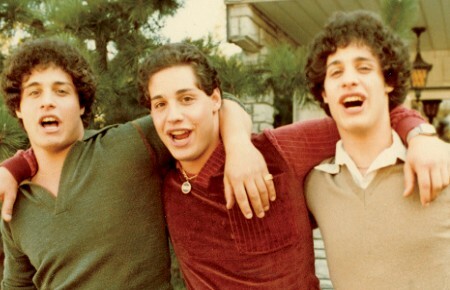 Some Presidents have done well at both and some, as you’ll see in First Dads, were real duds. Much of that, of course, is a matter of conjecture and history, but author Joshua Kendall takes things a little further in this book. Here, we get an idea of the parenting the presidents received and the childhoods they enjoyed (or didn’t) which, perhaps, affected the kind of parenting they gave their own children. Kendall also reveals what it was like for the wives of these men, the emotional legacy they left their children and what became of those sons and daughters. This is a great book the historian dad or grandpa, who’s a political animal. It’s an absorbing summer read, too, so if you need a book that’ll last awhile, First Dads could be very dear.